He who carries a diamond on the left side shall be hardy and manly; it will guard him from accidents to the limbs; but nevertheless a good diamond will lose its power and virtue if worn by one who is incontinent or drunken. 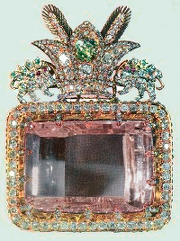 India was the world’s primary source of diamonds from antiquity until the 18th century. 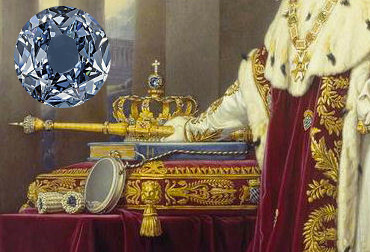 The country produced many of the world’s most famous diamonds, including the Darya-e Noor, Noor-ol-Ain, Koh-i-Noor, Hope, Regent, Wittelsbach-Graff, Orloff, and Dresden Green diamonds. 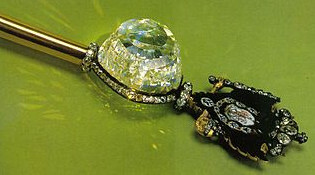 It also produced a body of knowledge we may collectively call Golkonda diamond lore. India’s diamonds came from scattered alluvial deposits in the central part of the country. 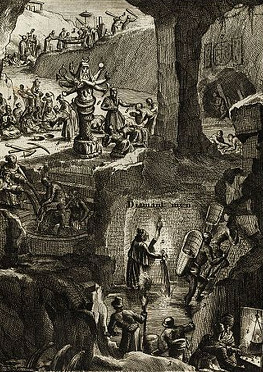 These deposits were collectively called the Golkonda mines, after a large city and trade center located nearby. The first mention of diamonds in India can be found in the Arthasastra, a Sanskrit text from the 4th century BC. After that time many texts contain references to diamonds giving us insight on how they were to be worn and purified for use in medicines. A diamond which is refulgent like myriads of suns, while deliciously cool as numberless moons, which illumines even palpable darkness, is excellent, and proves a panacea as soon as worn. “Authorities in matters of precious stones mention five bad qualities of diamonds; namely, mala [impurity], vindu [spot], rekhá [stripe], trása [tear] and kákapada [crowfoot]. The first defect causes impurity, the second brings down destruction on the wearer, the third renders him apprehensive of snake-bite, the next infuses constant fear into the mind, and the last leads to ruin.